The national co-ordinators for the China-Central and Eastern Europe Co-operation Initiative, known as the 16+1, have held talks at the Bulgarian Foreign Ministry ahead of the summit to be hosted by Bulgaria in early July 2018. The meeting covered important political, co-ordination and preparatory aspects of Bulgaria’s hosting of the seventh 16+1 summit, the Foreign Ministry said. 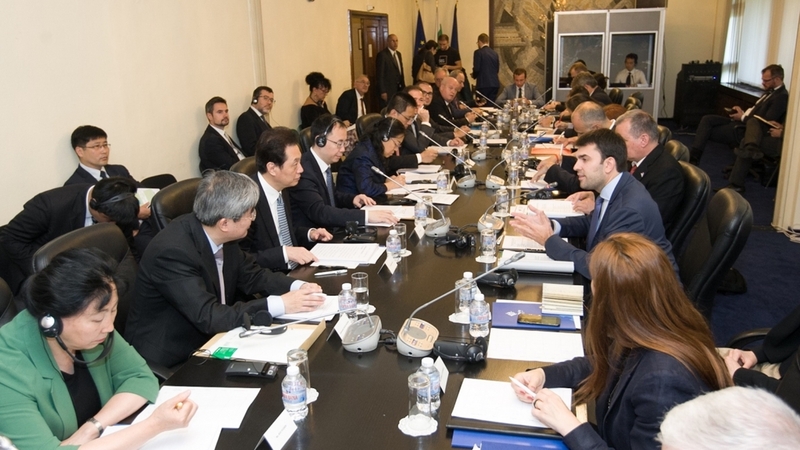 Those at the meeting included Bulgarian Deputy Minister of Foreign Affairs Georg Georgiev, China’s Deputy Foreign Minister Wang Chao and representatives of the countries taking part in the initiative, as well as observers from other countries and organisations. Georgiev said that Bulgaria was a strong supporter of the 16+1 initiative. Since its first meeting in Warsaw in 2012, the initiative had become an international platform for discussing and implementing ideas for co-operation, he said.